A Portrait by Paul Smaczny. “Without inner fire, without physical energy, this profession would be unthinkable”, according to Riccardo Chailly, in whose style of conducting accuracy and elegance are unforgettably united with an inexhaustible temperament. 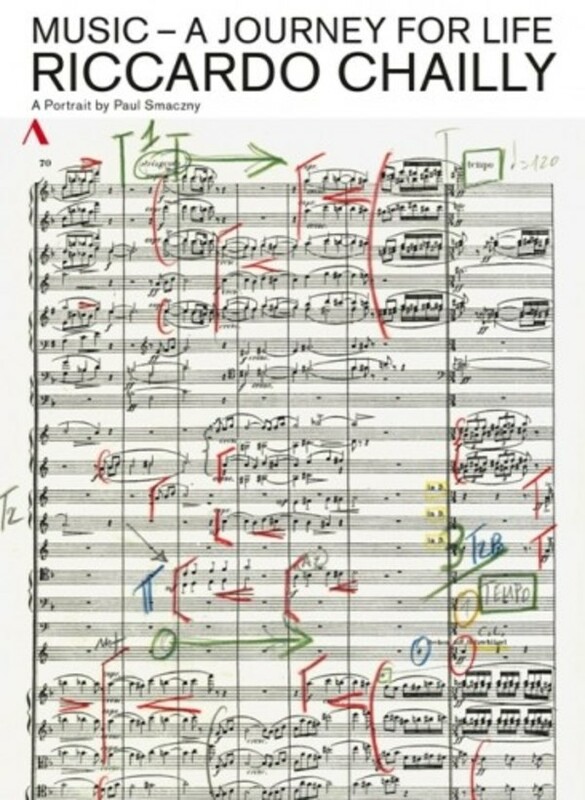 This is clear in 'Music – A Journey for Life', the first film portrait of the Italian maestro, which accompanies him working with the Leipzig Gewandhaus Orchestra, at La Scala in Milan and in rehearsals for La Bohème at the Palau de les Arts Reina Sofía in Valencia. Chailly’s impressive physical and mental strength lend a uniquely personal dynamic to the musical processes and the collaboration between the conductor and musicians. 'Music – A Journey for Life' also reveals the private person Riccardo Chailly, for whom the rigorous study of scores and time with his family are as important as a steady routine is not. Also included on this DVD is a fiery performance of Edvard Grieg’s Piano Concerto in A minor with the amazing and inspired playing of Lars Vogt. With animated tempi, rhythmic precision and pointed articulation, Vogt and Chailly let us hear the work as if for the first time.